If you place the original iPhone and the recently released iPhone 4S side by side, you may notice some significant differences. The new device porting a virtual assistant has come along way since it’s silverback predecessor. The original iPhone included some of the standard apps you may find in your homescreen today, but that’s all. Third party apps were not available and would not be for a while. The drawback didn’t hinder sales; 700,000 iPhones were sold during the first weekend. With each hardware and software upgrade, the device became more and more popular. The journey between the two phones, approximately four years apart, has been placed in a retro style Infographic found below. Designed by a Dutch website, the chart shows how much progress Apple has made both cosmetically and in hardware. The software the product lineup runs is also documented. In 2008, the iPhone 3G was introduced and remained exclusive to AT&T. Apple sold over 1 million iPhone 3G units during the first weekend. Upgrades included access to the App Store and any of its 10,000 apps. By the end of that year, over 300 million apps were downloaded. While the original iPhone could only ran on the slower EDGE (2G) network, the iPhone 3G’s name was chosen due to the better access to, well the 3G network. The following year brought more success to Apple’s phone venture. The iPhone 3GS was released with a few upgrades including a new compass. I decided to skip this upgrade and wait for the next one. Besides, I didn’t qualify for an upgrade until the following year. Looks like I was part of a small group. A total of 1 million iPhone 3GS model were sold during the first weekend. Apps available also increased to 85,000 bringing the total downloads for the year to 2 billion. The iPhone 4 was released a year later in 2010. The new upgrades were more tempting and I went and bought the handset. The new features included FaceTime, HD video recording, a new Retina Display and a 5 megapixel camera. FaceTime has become more popular recently for its availability on a wide range of Apple devices including the iPad 2, iPod touch and Mac. Apple sold 1.2 million iPhone 4 models during the first weekend bringing the number of iPhone users at the time to 1 in 7. Fast forward to today and we have the iPhone 4S. 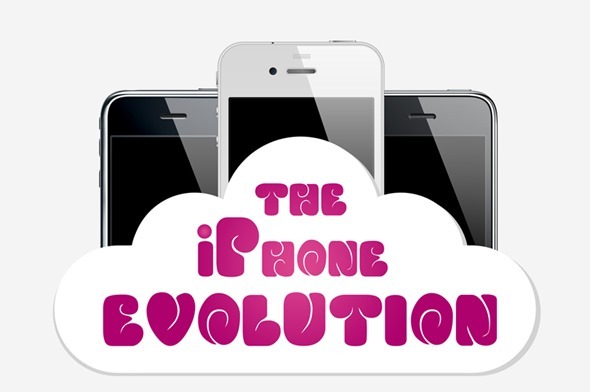 This current model offers the famous Siri as well as access to Apple’s iCloud technology. The service is now available with most Apple devices running iOS firmware 5.0 or later. Hardware upgrades include a faster A5 processing chip and an 8-megapixel camera. Unfortunately, I’m stuck in the same boat I was with the 3G; I’ll have to wait until next year to upgrade at a lower cost.